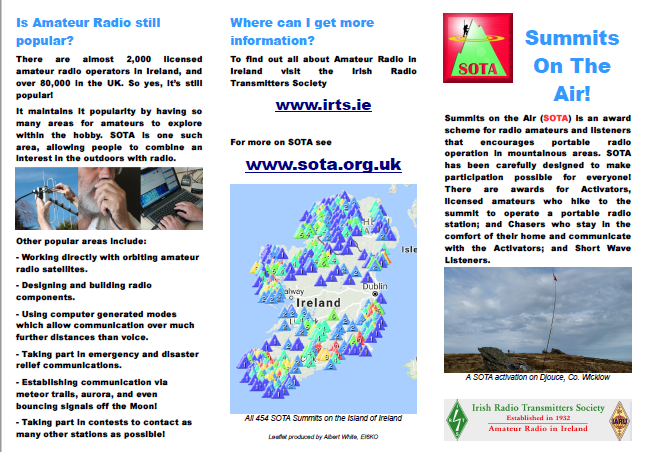 ‘Summits on the Air’ is a great way to operate an amateur radio station in a portable environment. In Ireland there are plenty of summits, of varying difficulty, to choose from. And you will nearly always manage to make contacts, especially if you can spot yourself on the sotawatch cluster, as people around the world really want to work you. However, setting up a station, particularly for High Frequency, get’s you noticed. 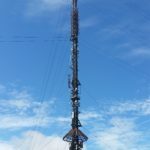 It can involve having a mast about 7m high and 20m of an inverted V dipole hanging from it! 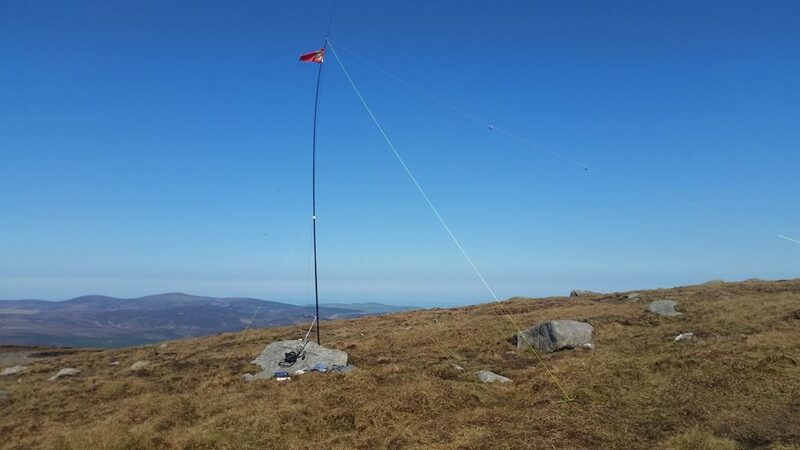 This invites attention from hillwalkers – especially if you fly a SOTA flag from the mast! I’ve produced this leaflet to give out to such curious members of the public who come over for a chat. It’s mainly for Ireland but can easily be adapted for other counties and covers the basics of Summits On The Air. A while ago I was writing a tool in python to communicate with a sensor on an Arduino. The idea was to have a class for the Arduino that would hold the connection and handle the reading and writing to the serial port. However that way I needed to have the object maintain the connection and the open COM port (this was on windows), but this meant that I could not have multiple objects. Why? Because you can only have one connection to a COM port. The solution – use a Singleton design pattern. Before these get lost in the ether (again!) I want to put them on my blog. Some years back a few of us put together some observing challenge booklets for the Irish Federation of Astronomical Societies. I don’t think the certificates are still being offered but they are a great resource if you are stuck wondering what you should try and look at with your new telescope or binoculars! They do however need a special charger – you cant just plug these into the charger you use for you NiMh AA’s. Unfortunately there are a lot of options for chargers out there, the majority of which on ebay etc. seem to be clones. Now I don’t mind buying clones of some products, but for things that are liable to lead to a fire if they fail I’d rather stick to branded originals. And the charger that I was advised to get and I’m still happy with is the SKYRC iMAX B6. Another SOTA catchup post from last year! For the 40m counties contest in May I decided to go up Tonlagee. There is a steep but short route up to it from the ESB car park and since the weather was nice I decided to stay overnight. Weather for the contest was good, but the propagation was terrible especially for a low power station, still an enjoyable afternoon up there chatting to people who came over. 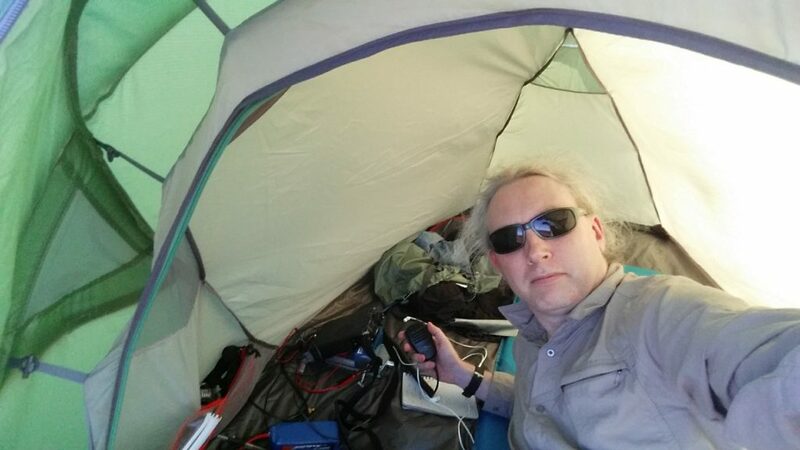 I did my first SOTA activation on Lug in September for the 2m/70cm IRTS contest. I won the 2m contest and did well in the 70cm considering I just had a Baofeng handheld. However Lug is windy. It’s the highest summit in the East of Ireland and it was a particularly windy and occasionally wet day. So not the time to try and get a 10 element antenna working portable. After it blew down hard a couple of times, I settled for setting it up couple of meters above the ground and was only just about able to turn it in the wind. Worth experimenting with again, but in better weather. This came about from chatting to Prof. Brian Espey about processing the data from the SQM data loggers that he and others use around the country to monitor Irish dark skies and to assis the Dark Sky Places (and prospective places!). 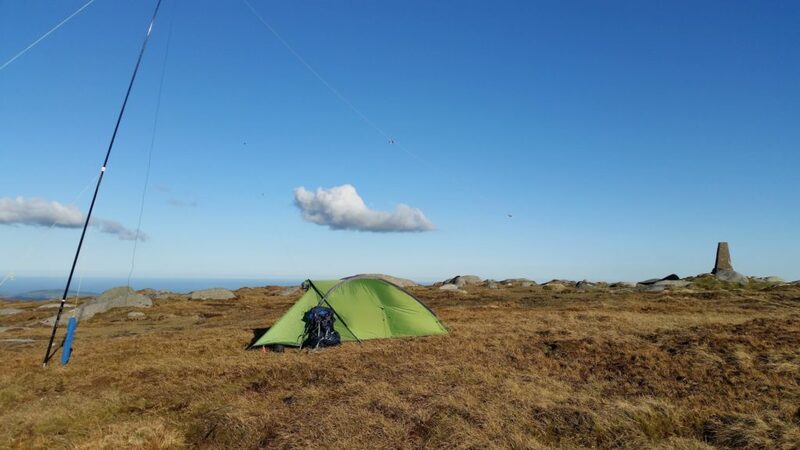 Kippure is one of the more popular SOTA summits in Wicklow. Probably because it has a nice road going up to it! The gate at the main road is usually closed – access is only for crews working on the transmitters, but there is parking for a few cars at the gate. This being on one of the main roads from Dublin you should not leave valuables in your car – I’d even suggest removing the boot cover and leaving the glove box open as there have been a spate of car break in’s this summer in the hills. 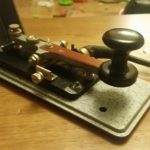 After passing my Class B Amateur Radio licence last year I intended to learn Morse Code in order to get the Class A license, and a “two letter” callsign. The morse requirement for a Class A license is to be able to rend and receive a paragraph of plain english text, sets of numbers, and a set of special characters and pro-signs, at at least 5 words per minute. I passed the exam in February, though I would advise finding out the structure of the exam in advance – I didn’t know what special characters were on the exam until the day or two before and had to hastily learn them!